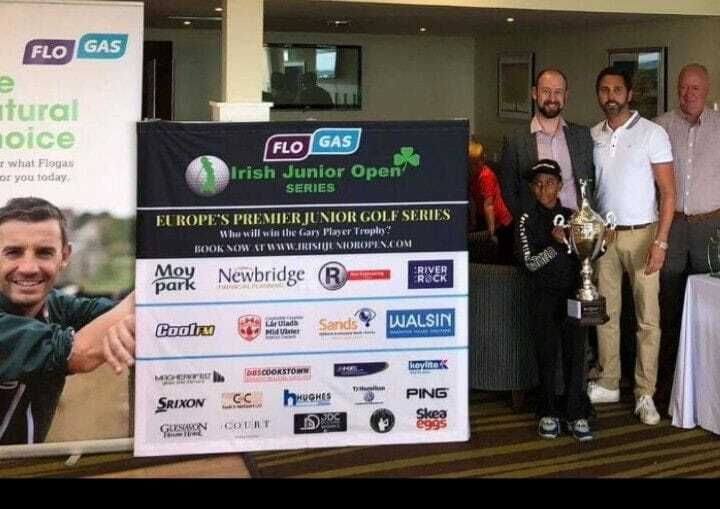 Congratulations to the Under 7 ‘Flogas Irish Junior Open Ulster Series’ Champion from Forrest Little Golf Club: Atharva Rajeshkumar. 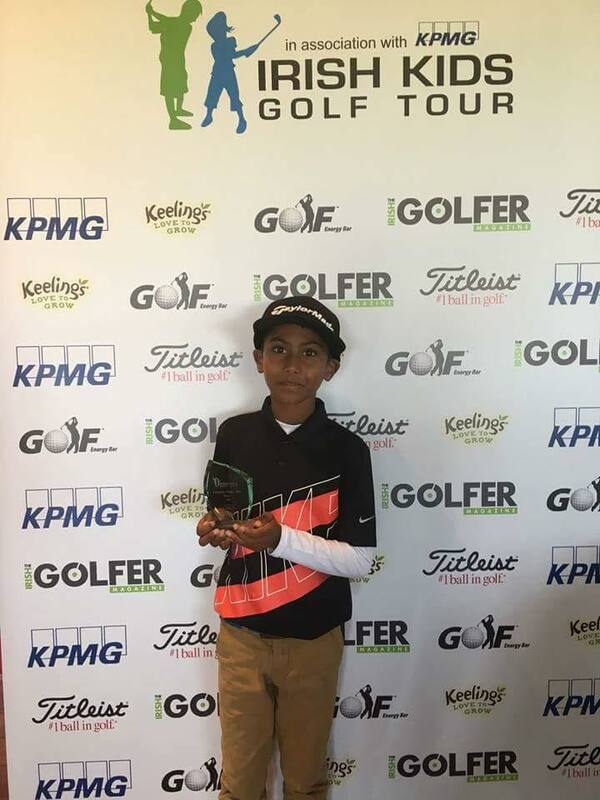 Well done Atharva! An Easter Golf Camp will be held in Forrest Little Golf Club from Tuesday next 3rd April to Friday 6th April 2018. 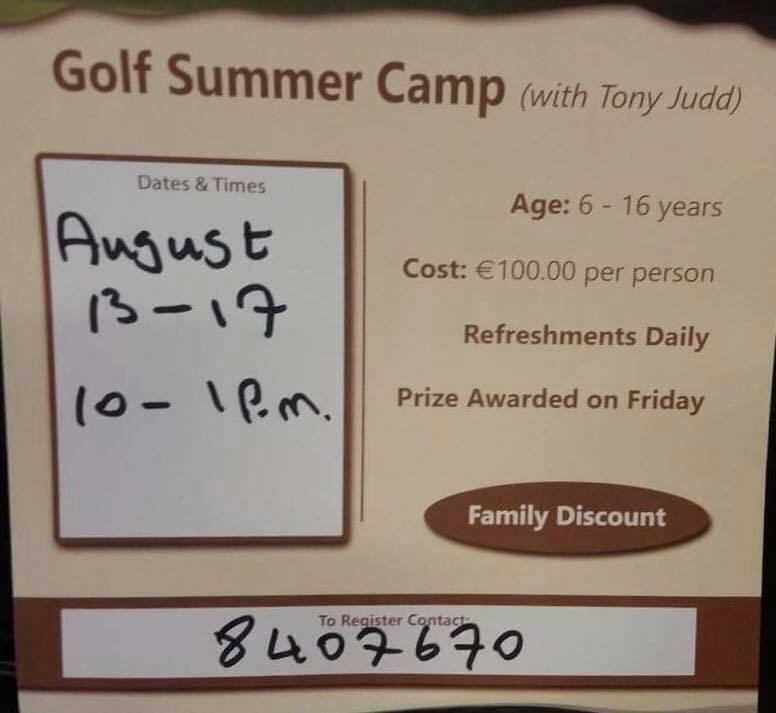 The Camp is open to Boys and Girls and full details are available from Tony or Susan in the Pro Shop at 8407670. The camp will run each day from 10.00am to 1.00pm. 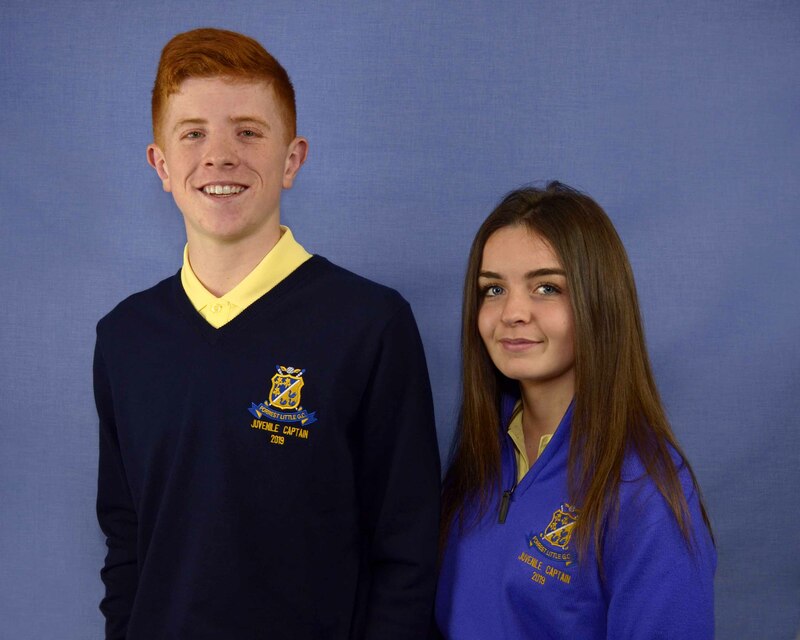 Juvenile Competitions for boys and girls have been arranged for Thursday 29th March and Thursday 5th April 2018 with the tee reserved on both dates from 9.00am to 10.00am. Juveniles should report to the Pro Shop to enter the Competition. Looking forward to seeing a full attendance. 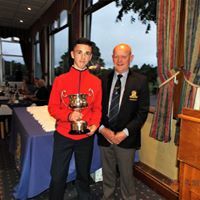 Congratulations to the Captain’s (Michael Denihan) Prize to Juveniles – Winner Gavin Tiernan (25) 43 Pts with Tom Cosgrove (27) a close second with41 Pts. Finn Sullivan captures Open Intermediate Scratch Cup with a great score of 77 edging out last year’s winner Philip Newell with a brilliant back 9 of one over par. 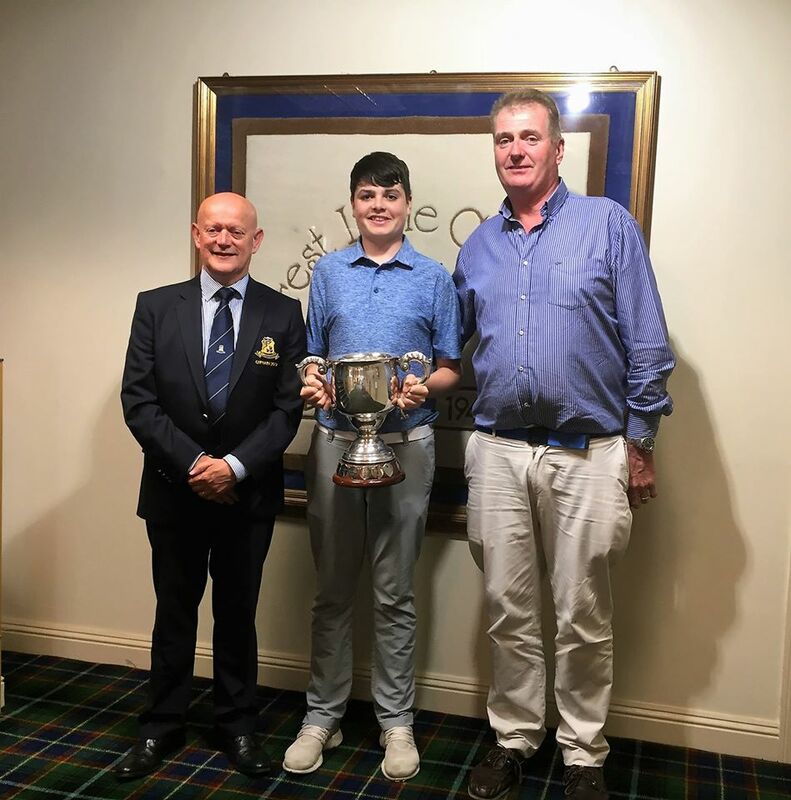 This year has been a great year for the Forrest Little members of the Hilary Golf Society with juvenile Ciaran Gregan(4) winning the Baltray outing, on 26 Mar, with a 70 and junior Keith McCabe(4) winning the Royal Dublin outing, on 7 Apr, with a 71. 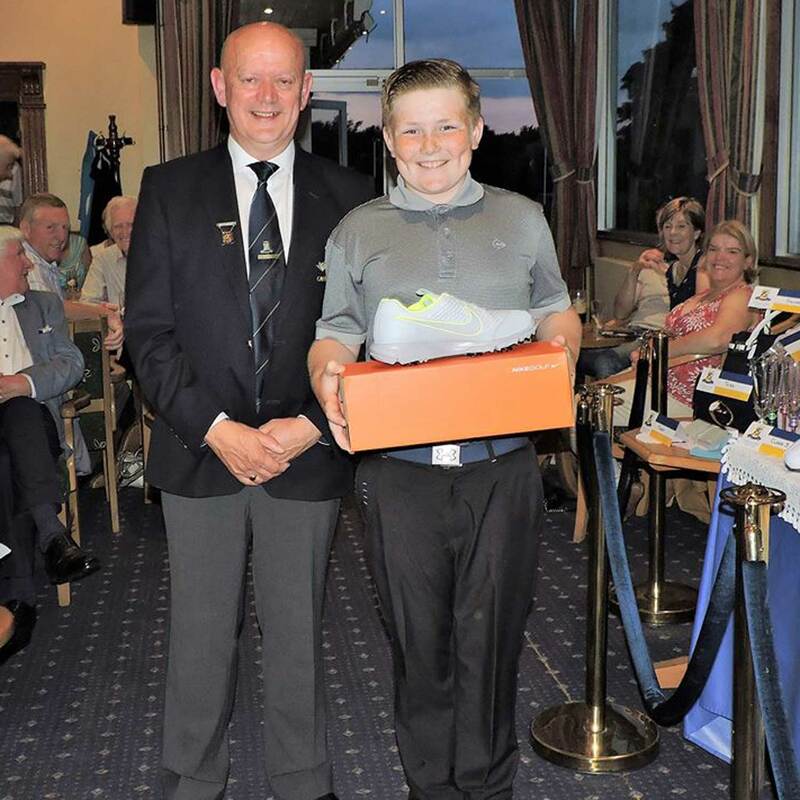 The society, which was originally formed by a group of low handicap golfers to get competitive golf in advance of the West of Ireland, is almost seventy years in existence and still going strong with sponsorship from RaboDirect. University alumni will recognise Hilary as the academic term between Christmas and Easter. The members generally play off handicaps between plus 3 and 5. Six courses; Portmarnock, Portmarnock Links, Seapoint, Baltray, Laytown and Royal Dublin are played between February and April. A number of professionals play, with recent tour player Gary Murphy playing all events in 2017. 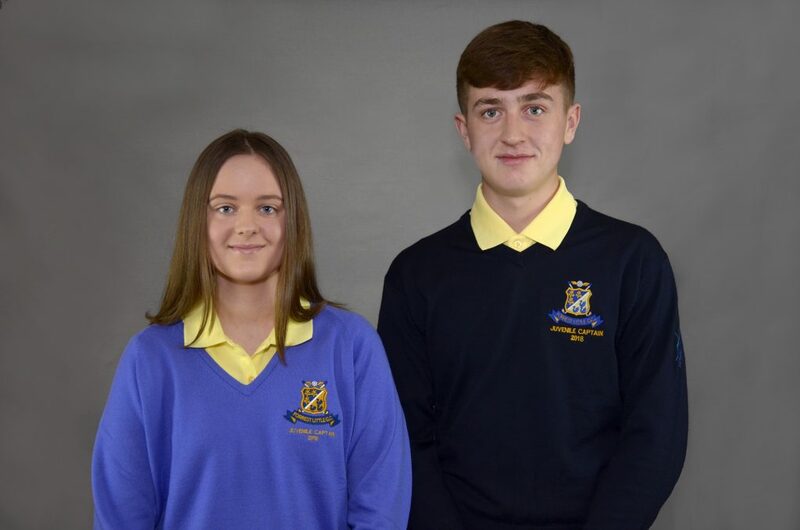 The achievements of our young players in this prestigious society augurs well for their golfing prospects and hopefully will also translate into interclub success in due course. Well done lads! 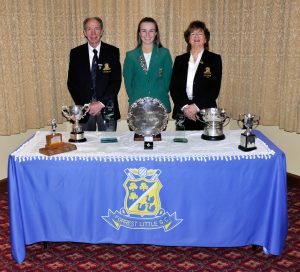 As a member of Forrest Little and The Island, Julie McCarthy’s golfing talents really shone through in 2016. The start of the season proved difficult for the talented +1 handicapper, as she practiced at the French International Lady Junior U21 Championship and suffered tearing and bruising to her left wrist. “It was in a cast for six weeks and I couldn’t move it, so I spent that time looking over the courses I would be playing during the season and tried to prepare other ways. It was coming up to summer exam time as well, so it wasn’t the worst timing school wise,” laughed the 17 year old. 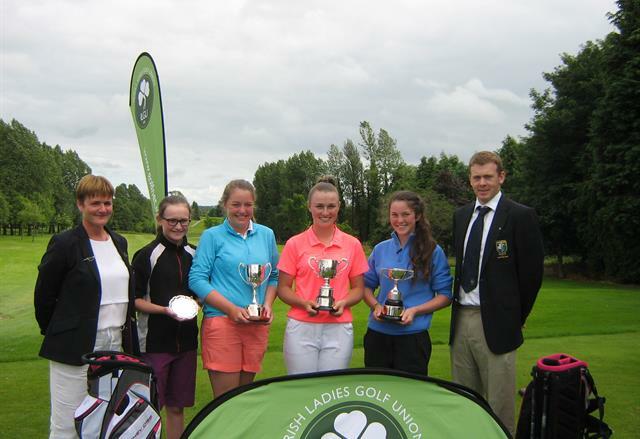 Julie played in the Ulster Girls Championship a week after getting her cast off and secured first place, she then won the Leinster Girls Championship, followed by her second Irish Girls Close Championship title at Kilkenny Golf Club. She closed out July on a high after notching the top spot at the Connacht Girls Championship, ten shots clear of her closest competitor. Julie will finish her exams in June 2017, spend the summer competing in National and International tournaments and prepare for university life next autumn, before she starts at Auburn in January 2018. On the hottest days of the year so far Roscommon Golf Club was host to the Golfstyle Connacht Girls Championship. Today saw the girls’ play 36 holes on Tuesday followed by 18 on Wednesday with Julie McCarthy leading the way after scores of 70 in the first two rounds. She contined her fine form in the third round to finish on -8 and 10 shots ahead of the chasing pack. This is Julie’s 4th win in a row afer she claimed the Ulster, Leinster and Irish Girls’ titles. ‘Spectacular Golf’ was the cry of the afternoon as the spectators in Kilkenny Golf Club were treated to an amazing round of golf in the Irish Close Championship Final. The sun broke through once more as the final of the Irish girls Close got under way just before 2pm today as Niamh McSherry (Lurgan) and Irish International teammate, Julie McCarthy (Forrest Little) went head to head. The pair shared pars on the opening two holes but Niamh shot a fantastic eagle on the 3rd to go 1 up. Julie quickly brought the match back to all square with a par on the 4th and birdied the 6th to swing the tie 1 up in her favour. Niamh fought back with 3 birdies in a row to start the back 9 two shots clear of Julie but as they teed up on 12, Niamh had extended her lead by another, but was soon reigned back in. The pair halved the 14th with birdies and the 15th with pars but Julie got herself back on level terms with a birdie on the 16th. Niamh made, what everybody assumed to be, the decisive move of the match on the 17th with a steady par to head down 18 with a one shot lead, however Julie was as steady as always and made par with a tremendous up and down from the bunker. The pair both boomed their drive down the 1st (19th) again but both slightly further right than they would have hoped resulting in the hole being halved with two pars. In the end, Julie McCarthy came out victorious with yet another par on the 20th hole to win her 2nd Irish Girls’ Close title. 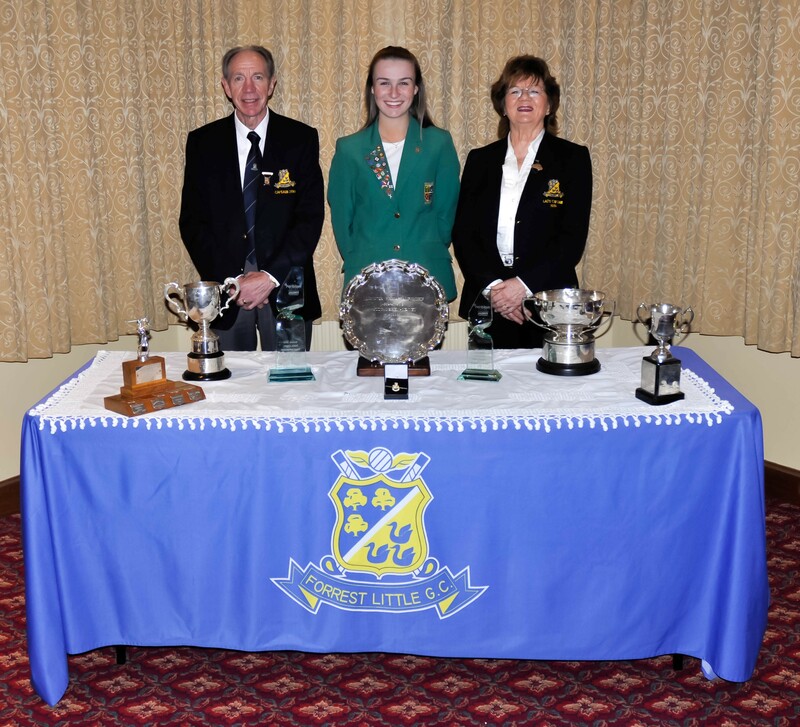 Julie having already claimed the Ulster and Leinster Girls’ Championships this year will be hoping to keep to her winning ways as she heads to Roscommon this coming week in her bid for the Connacht Girls’ Championship. We wish her the very best of luck as she continues to keep the Forrest Little flag flying.